The end of 2018 is fast approaching, with three-quarters of it nearly over. And, the last quarter may go by quicker than you think, due to the holidays and numerous events on the calendar. That's why it's important to start putting together what you'll need to recap the year financially and strategically. Doing so will make tax preparation easier and set some benchmarks for you to make improvements to the business in 2019. Note any loan balances you may have to see if you can make any additional payments before the end of the year, or consider how much time you have left to see if you can pay them off any earlier. Review your budget and determine if you stayed on target. If not, review what went wrong and determine how to fix it for the upcoming year. In the process, create your 2019 budget. Update your financial statements in your accounting software, such as cash flow statement, profit and loss report, and balance sheet. Assess your profitability for the year so you can determine if you provide bonuses or any other financial rewards to employees. This will also tell you about realistic amounts to transfer into a profit-sharing or retirement account. Verify that your 1099 information is correct in your accounting software. Also, review that you have W-2 forms for all freelancers, as well as information for regular employees. If not, send out forms immediately. Then, you can prepare the right tax documents in a timely manner. Set up an appointment to meet with your accountant at the start of 2019 to go over the year. Having already prepared your documentation means your accountant can provide a comprehensive analysis of your tax liability, as well as offer recommendations on how to approach the coming year. Tally up tax deductions and determine if there are any others you can take prior to the end of the year. If you haven't implemented an expense and receipt app already, now is the time to get one so you can make accounting for expenses and deductions that much easier. Have a security professional check your systems to identify vulnerabilities and recommend updates or additional software. Assess new technology or upgrades against your strategy and budget to see what is feasible. Schedule training for any new technology that is implemented so that the team is well-informed and ready to kick off the New Year. Compile reports using analytics software to assess how all your campaigns did throughout the year against certain metrics and in line with specific goals. Look for areas of improvement and determine how to address those as goals in 2019. Go through your website and channels to see what you can change. Check links in blogs, using software, to see which ones may now be broken so that you can update those throughout all your content. Start working on your 2019 content calendar and overall marketing strategy based on 2018 results, competitive analysis, and trends research. Write down what the company accomplished this year and determine new goals for 2019. Communicate this with your team. If you have a physical inventory, now is the time to review what you have and what you will need. Run a survey with your customers to find out how you did, and collect ideas that can frame 2019 strategy. Review trends and assess areas to update your business plan for the New Year. 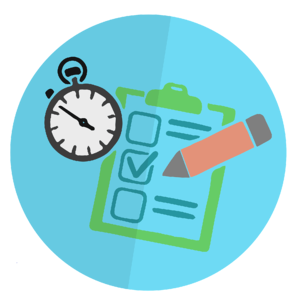 Schedule performance reviews with all your employees, including freelancers. Everyone wants to know how they did and what could change. Conduct a survey to find out what employees and vendors think about the year, and solicit ideas on how to improve. Ask employees and vendors to verify information in case you need to update the database with new contact data, like a phone number or email. Determine if you have enough staffing that aligns with any plans to scale up in 2019. If not, start preparing job descriptions and timeframes for hiring.